1. Auroratone – I stumbled across this amazing thing this week – a series of videos constructed in the 1940s to treat mental disorders. The attempt, called Auroratone, used soothing music and psychedelic images to produce a calming sensation. Here’s the only one I could find, a remastered Auroratone with Bing Crosby providing the song. These films were apparently used in the Army and Navy to treat neuropsychiatric and migraine cases. Amazing! 2. 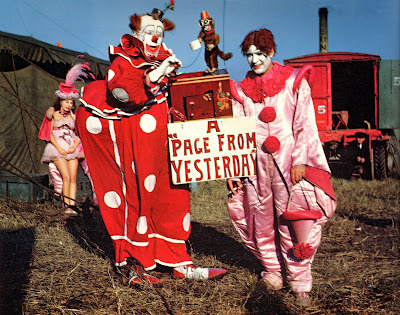 Vintage Circus – Neat Stuff‘s got a great pictorial of images from circus days gone by. Check out the collection of photos from the 40’s and 50’s. 3. Space Exploration Map – Check out this beautiful map that I found at infographicsonly.com. It gorgeously details every space mission we’ve sent out to date. It’s one of those things thats beautiful at a glance and beautiful upon closer inspection, but in two different ways. 4. 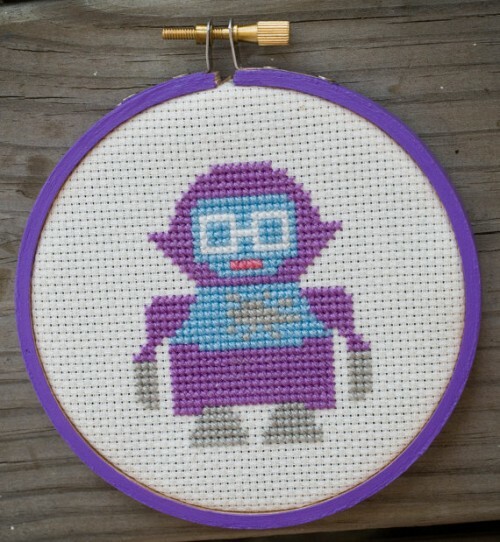 SMRT Cross-stitch – Up on Etsy now is an awesome cross-stitch pattern of one of the original EPCOT mascots, SMRT the robot. Amazement! 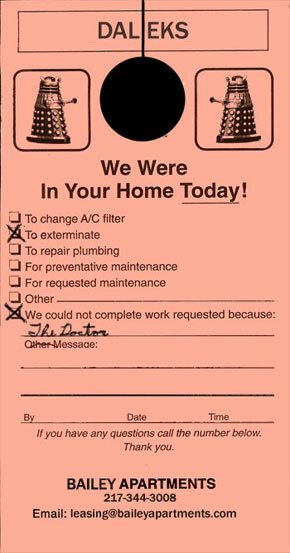 I love that cleaning service card so much!